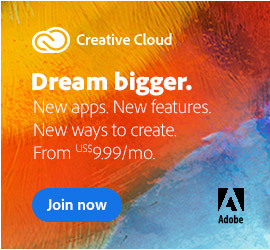 If you don’t feel you’re ready for the full Cloud or would just need/use one Adobe tool at this time, there’s also the option of individual product subscriptions such as getting InDesign CC or Illustrator CC or After Effects CC (historically costing $600-$1000) for $19.99 a month with a Single-App Membership. And if you just need Photoshop by itself then you’ll definitely want to consider the new CC Photography Bundle which gives Photoshop CC + Lightroom 6/CC for just $9.99 a month (regular price), and also now includes the new Lightroom Mobile app – a total value of over US$1,300. So if you’re trying to decide which path to choose, there are different pros and cons to consider. If you prefer traditional licensing, then the 2012 release of CS6 is still being sold by Adobe but is the end-of-the-line – the last Creative Suite version which will not be updated further, even for new operating systems. If instead you want to check out the Creative Cloud (even with a lifetime free level of membership), Adobe will continue to focus all ongoing and future innovation there – with new tools, added services, and ongoing upgrades included. While the company is continuing to offer the older CS6, at the same time they are now seeing the vast majority of purchasing customers using more of their tools with the Creative Cloud. Adobe CC has already gained millions of customers and gets strong reviews from users, and so the company is putting all of its resources there. What does Creative Cloud contain? 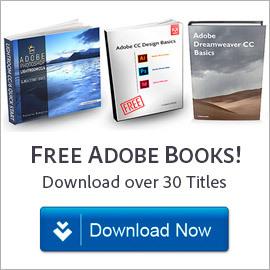 Well, in addition to the entire CC “Master Collection,” you also get new Acrobat DC for creating & editing PDF documents, Lightroom 6/CC for photography, Behance ProSite for building a professional online portfolio, Market for free creative assets, Typekit web & desktop fonts, Muse code-free website creation, Edge tools & services, … – and Adobe will be adding more value there on a regular basis. Which path is right for you is a question only you can answer. If you go with the the older perpetual licensing, you pay a higher upfront cost for a static version of the software. If you go with the Creative Cloud, there’s a world of the latest & greatest tools plus other benefits at a lower monthly price point. For students and teachers the introductory deal is even better – Adobe is offering 60-70% off Cloud member­ships to education customers but with no previous software ownership required. If you’ve got multiple users, then existing customers also get a two-year discount of $20 per month with the Adobe’s solution for group CC licensing, Creative Cloud for Teams. hi, i saw this post about the discount price to upgrade to cs6 or cs6.5 if you have cs5 or cs5.5 to upgrade from, in 2013. i’ve got the master edition of cs5.5, what do you think what the price would be to upgrade to cs6 or cs6.5 with the discount? 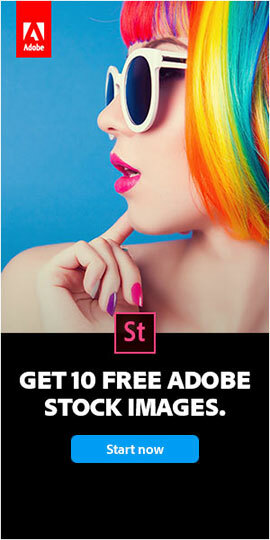 i’m mad because i missed a free cs6 upgrade, but the discount news cheered me up. Hey there Revon, thanks for your question and sorry you missed the brief CS6 upgrade grace period… The good news is we can give you some pretty accurate numbers and guidance on what it would cost to upgrade your CS5.5 suite. Currently, to upgrade to CS6 Master Collection from CS5.5 Master Collection costs US$525. The price to upgrade from CS5.5 Master Collection to CS6.5 Master Collection isn’t known yet (because that version won’t be out until next May probably), but we expect it to be similar to current CS5.0 -> CS6.0 pricing, which is US$1,049 for the Master suite. Lastly, you may already know but the regular list price on this top-of-the-line product is US$2,599. Once you get on CS6, then you wouldn’t have to upgrade again until CS7 is out, to retain your upgrade discount eligibility. Of course, you can also go with the Creative Cloud and get all the latest applications, though in your case you may feel you didn’t get enough out of your investment in buying full CS5.5 outright. I just want to upgrade from CS4 to CS6. I am a freelancer with not a lot of work right now. $29.99 a month is too expensive when I have no consistent work to support that monthly outlay. You have to come up with something more friendly. Not everyone that uses CS is revenue producing. What do you suggest? Hi Barbara, thanks for your comment. If $1 a day is too much to pay for access to all of Adobe’s top creative applications, then maybe for the time being you could get along with just using one of the new Adobe CS6/CC tools? Meaning, another option would be to just get (say) the latest Photoshop release for $9.99 a month… Hope that would be more affordable for you, and pay for itself in saved time. Nope, doesn’t work for me. I need InDesign, Photoshop and Illustrator. Wanted to check out Muse also. $1 a day is too much, and I live in the Northeast. I’m thinking people in other parts of the country are thinking $29.99 a month is way too much. Sorry, don’t like your deal. Sorry about that Barbara. It sounds like you have a CS4 Design Standard suite – so while discounted upgrade pricing from CS4 to CS6 is no longer available, it would have cost you around $750 upfront to do it. Thus in theory you would have had to come up with that instead… One of Adobe’s ideas behind the Creative Cloud is to make their products more affordable by taking out that huge one-time pricing hit on purchasing and upgrading. Another potential idea or option for you would be to enroll for a course at your local community college – and then you might qualify to receive education pricing for either the Cloud or for CS6 traditional, which in both cases would be lower than their regular prices. I’m a Suite CS6 user who “upgraded” to CS6 CC in February 2013 with 40% off. Is it possible to put me into lower price or am I stuck with my contract? Welcome Adam, thanks for your question. We couldn’t say for sure, but you never know… We would suggest getting in touch with Adobe Customer Service (via live online chat is usually the fastest/easiest). It certainly couldn’t hurt… and we’ve heard success stories before. Sure, happy to help Adam, and good luck to you. Glad to hear it worked out for you Adam, and thanks for circling back to let us know. Hello Joe, Adobe says they have no plans for future releases of Creative Suite, focusing all of their development and ongoing innovation on the Creative Cloud instead… So the only upgrade path from last year’s CS6 is now to CC, as described above. The company says they will continue to offer CS6 for purchase indefinitely, but will update it only for bug/security fixes and to support the next versions of Windows and Mac OS. Happy day for me – living in Denmark the CS packs have always been way over my budget (they add taxes and 25% VAT and what not when imported here – ugh) but with the CC I might actually be able to finally become a regular – I just need to know if you’re “shackled” to a payment plan – for instance – if I want Photoshop all the time, but only need (can afford) Illustrator and InDesign or even “The Whole Thing” every two or three months – is that possible? In other words: how flexible are the CC subscriptions? Greetings Birgitte, it’s definitely possible to get a month-to-month plan for any tool or even for the entire CC collection… With a monthly plan, you can turn it on or off as needed (one month at a time), and pay only for what/when you use. It costs more than an annual plan because the commitment is lower. Read more about the month-to-month plans here. If you want to give it a shot, start first with downloading the free CC trials you want (which are fully functional for 30 days) – and then you can just purchase what you need afterwards. See all the CC plan options here for all types of customers. Totally, 100% disagree. Sure, we could possibly use old versions if we wanted to, but why would we? At what cost? Just the addition in Photoshop of Content-Aware Fill and (more recently) Content-Aware Move/Patch/Extend are enormous boons to our everyday work and save countless hours. Anyone who uses these features often (and correctly) will tell you that they are magical, nearly-miraculous technologies. Puppet Warp is another that we use all the time and saves big time. There are many others added in the past couple years. Just between CS5 vs. CS6 for Photoshop was huge, too much to mention here. Photoshop CS6 and CC also have a much nicer/smoother interface and are more pleasant to use than earlier releases as well. Not being aware of or knowing how to use what’s new doesn’t make it worthless in the slightest. And what cost is it to your productivity to use old 32-bit releases on modern 64-bit computer hardware and operating systems? How much performance are you losing? CS6 will run for a while, but eventually your computer may crash or get lost or stolen, and then CS6 may not be supported on future operating systems. But right now, choosing to still use the end-of-lifed CS2 (except for the most casual use) is myopic in our view. What’s your time & effort worth? It’s the one resource you can’t ever replace. Hi, if I just have a single CS4 tool can I upgrade to CC with the discount, or do I have to have a full suite to get that? Hi Alan, that’s a good question. Per the offer’s terms & conditions, you can have either an individual product or a suite edition (from CS3 to CS6) to receive the discounted pricing on CC. So yes, it sounds like you would qualify. I have a valid registered copy of Adobe Master Collection CS4. I tried to use the SN the register for a discounted CC subscription but after entering the SN it said “does not qualify,” why? Not sure Shawna, and wish we could help – but you have to contact Adobe directly for licensing issues like that, and ask them the same question. Hello guys, I produce songs and radio programmes; it’s a hobby not commercial. Do I understand correctly? That I can join the Cloud and get access to Audition audio and video without paying hundreds for the programmes. 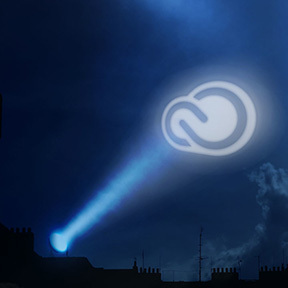 Yes, that’s exactly right Norma – with the Creative Cloud, there are no longer any huge upfront costs to use Adobe’s leading creative tools – just an affordable monthly rate for full access to everything. I have tried to join CC with the $29.99 CS Customer plan – I have serial numbers for CS Premium and Design Standard plus Lightroom, but Adobe says I am not eligible. Wish we could help Sam, but we do not have power in such matters… You’d have to contact Adobe directly to try to see (or fix) why your current CS serial numbers do not qualify you for the discounted upgrade to CC 2014. Or, you can uninstall CS6 and save it for another time, or move it to other systems, or give/sell it to someone else. Here is a guide to file compatibility between CS6 and CC, if you’re wondering. With CC just like with CS6, you should be able to install/activate your purchased license on up to two machines. However, you mentioned both PC and Mac – so one benefit of CC is that a single license can run on both platforms (Windows + Mac OS), whereas with CS6 and earlier releases, you had to choose either one operating system or the other for your serial number. Hope that answers all your questions, if not then just post back! How will I download a full tutorial of Adobe Indesign. Hey Jeff, that depends – do you want a free tutorial book or free tutorial videos? Sure – you can subscribe to our RSS feed or follow us on Twitter or Facebook… You can also enter your email and have new articles sent directly to your inbox. 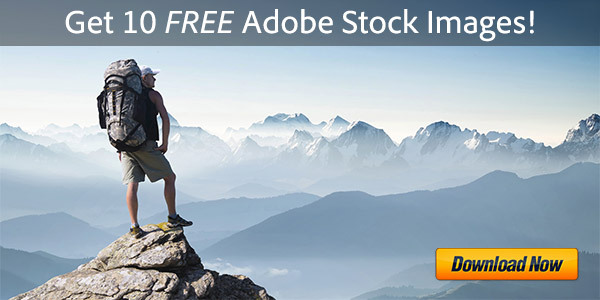 You can also join tens of thousands of readers for our free monthly newsletter full of Adobe tips, tutorials, news and reviews, plus updates on new deals and exclusive coupon codes – and when you sign up now, you’ll receive dozens of free Adobe books. Currently using CS6. Is your $9.95 Photoshop CC and Lightroom plan better, equal to my CS6? I assume it is equal or maybe a little better which makes it an interesting prospect to me. What’s the Difference Between Adobe CC 2014 vs. CS6, CS5, CS4 & CS3? My daughter is at a media-based secondary school (aged 15) and uses many adobe products for art, graphic design and photography (photoshop & illustrator to name 2 that I can remember…). – She told me that she (or actually me, as I’ll be paying the bill) can obtain a discount by applying using her school’s email address – is this right? – She currently swaps between her mac and mine using photoshop elements (we have different PE versions and my mac is more powerful). Will I have to pay for two licenses of CC? – one with the student discount and the other for an individual? I do play with photoshop elements on my mac but not enough to warrant replacing with CC Photoshop, and I do not want my daughter to have to rely on using my mac all the time as I use it for work. There is no upgrade discount from Photoshop Elements to Photoshop CC, however the lowest-cost plan that includes Photoshop CC (plus Lightroom 5) is only $9.99 a month – it’s called the CC Photography Bundle. What’s more, your daughter should definitely qualify for Adobe’s CC student discount, which is 40-60% off the regular price for the complete Creative Cloud – with not just Photoshop but the full suite of all CC applications. Finally, regarding the ability to use the software on multiple computers, you should be able to install a single license of CC on up to two systems, as well as easily move it between machines as needed. Hi- it seems this thread is still active? I was looking at the $29.99 deal for CS customers since I have the CS6 Design and Web Premium package. I started the CC purchase process and when it started to evaluate whether I was eligible for the deal, it told me I wasn’t (even though it’s there under my account that I bought the CS6 package). Hi Laura – yes, everything is still active! Is your CS software fully registered with Adobe? It shouldn’t matter where you bought CS6 so long as it is authentic, valid, and registered with them. The “purchase directly from Adobe” part is for your new purchase of CC, in order to receive the 40% upgrade discount. Hi, just enquiring about upgrades frpm Lightroom 5 and Photoshop CS5. I’m not able to go onto CC because our rural internet connection is not reliable and is incredibly expensive at $130 for 15Gb/month. i just saw the new Lightroom features eg HDR and panorama stitching and wondered if there was any way I could upgrade without going to CC. What are my alternatives? Am I able to use any of the new and improved features? Am I able to buy outright? What solutions do you have for your customers who don’t have secure and reliable internet? Hello Jacqui, thanks for your questions. Yes, we have some solutions for you. In fact, you probably were not aware but you can order a Creative Cloud disc/DVD (essential in rural areas like where you live) and then just use the Internet to quickly [re-]activate (not download) the software once every few months. But if you still don’t want to go the subscription route, then you can still get traditional perpetual software instead. Adobe is continuing to sell CS6 and you can still buy CS6 direct from them, including for an upgrade from CS5. CS6 is older software from 2012 and Adobe won’t update it any further, but it may still suit your needs for now, depending. Finally, about the new release of Lightroom. It is available in two forms: standalone as Lightroom 6, or subscription as Lightroom CC. It is the same core program actually, and you can choose how you wish to purchase it. Compare Options: What’s the Difference Between Lightroom CC vs. LR6? Hope that gives you some ideas and answers. Does adobe have a bundle that works for a simple graphic designer with just photoshop, illustrator, Acrobat DC? Greetings Erica, thanks for your question. There isn’t a CC bundle with just those three applications. With the newest Creative Cloud release, you can get either a Single-App Subscription (or multiple of these combined together) – or the complete package (which includes All Apps available) with more than what Master Collection ever had. hi, i’m a student and bought cs6 about a year (maybe a bit less) ago. are there any upgrade options to move to cc? The last CS upgrade deal (above) ended in 2015. 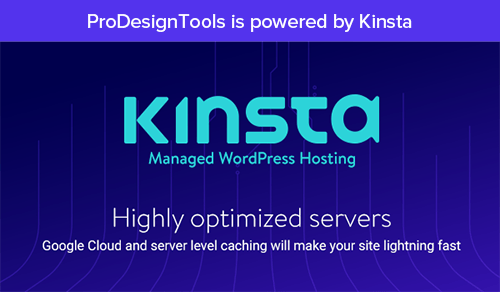 Having a special is not necessary however, as no prior software license or ownership is required in order to sign up for Creative Cloud. If you want to try it out first, then by all means check out the free CC 2017 trial downloads before proceeding.